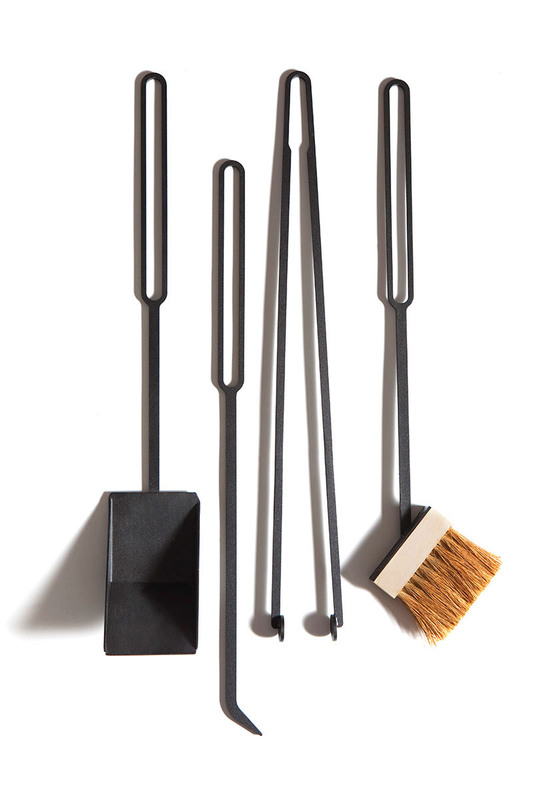 Each utensil set is convenient to use and makes tending the fire a pleasurable experience. 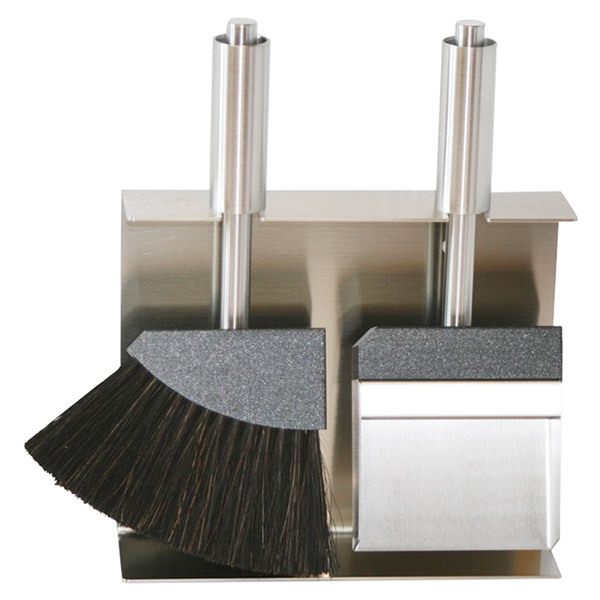 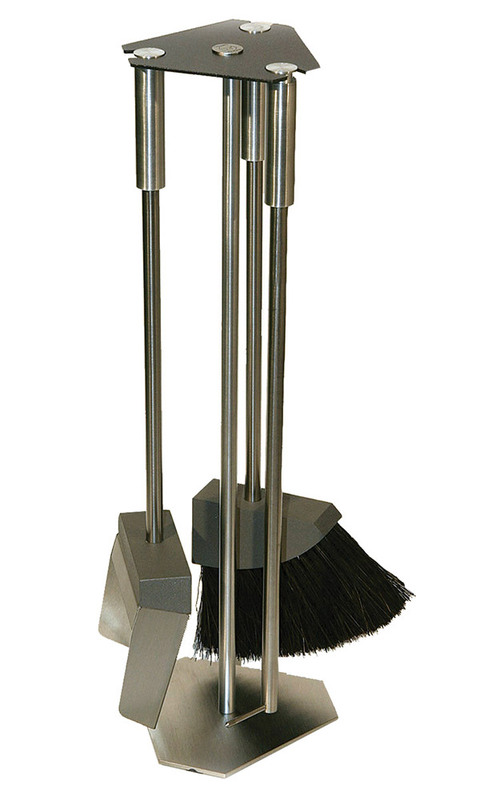 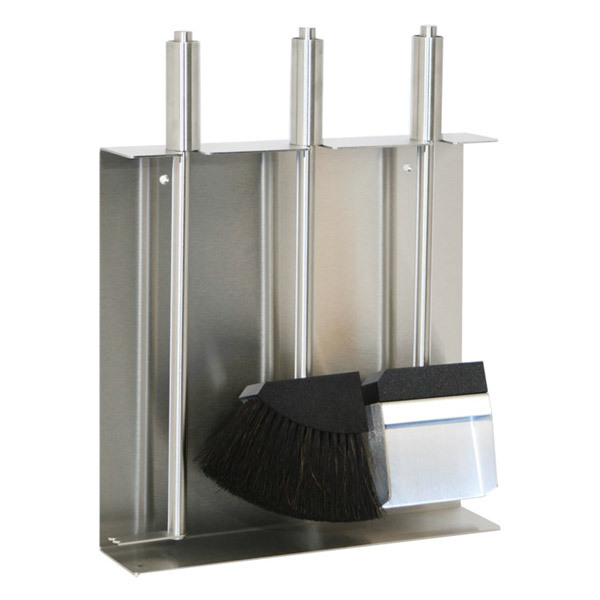 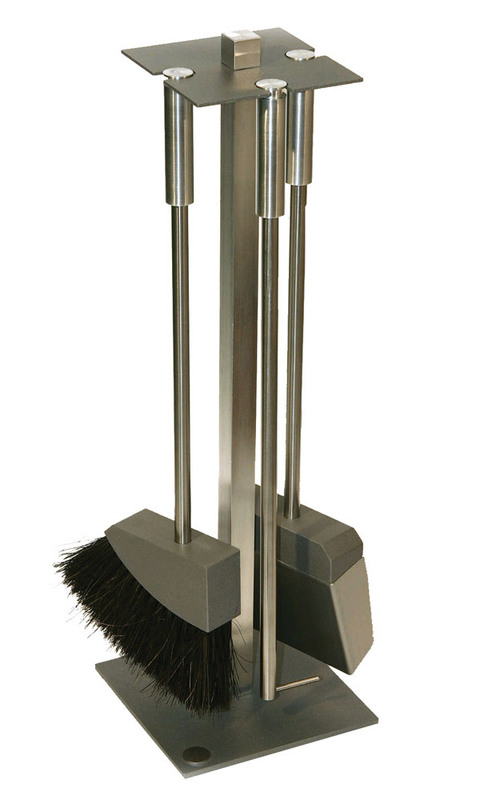 A combination of the highest quality steel, aluminum and wood are the components for these unique tool sets, ash brushes, dust pans and pokers. 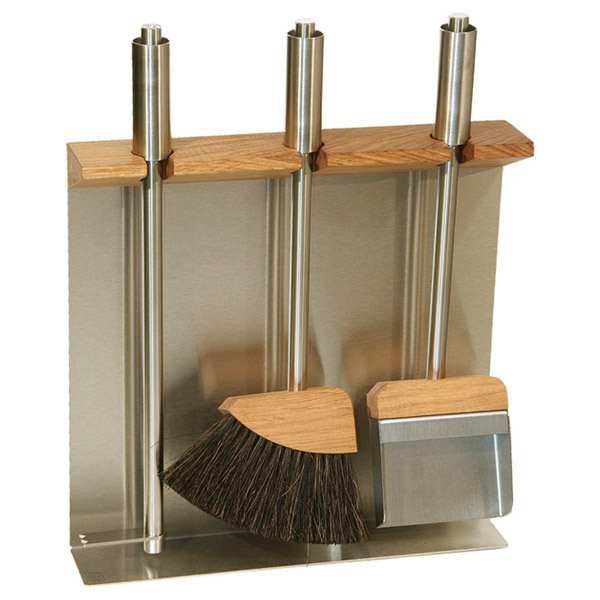 In this assortment, leather utensil handles in vogue colors mix with stainless steel bodies and cutting edge design. 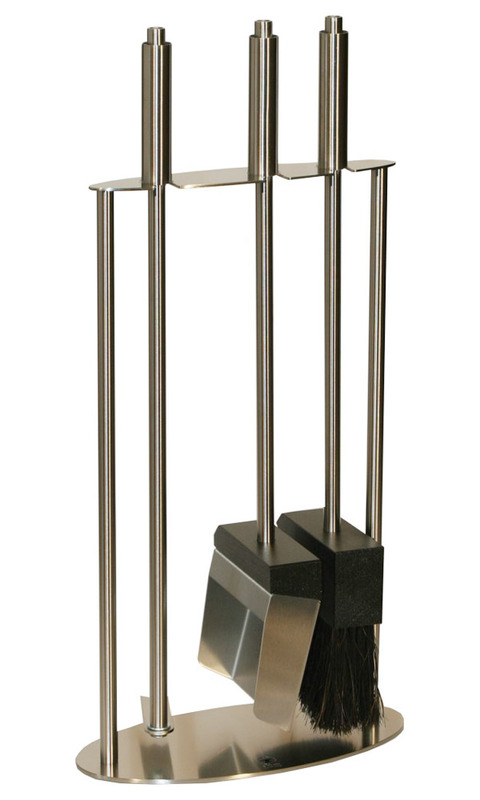 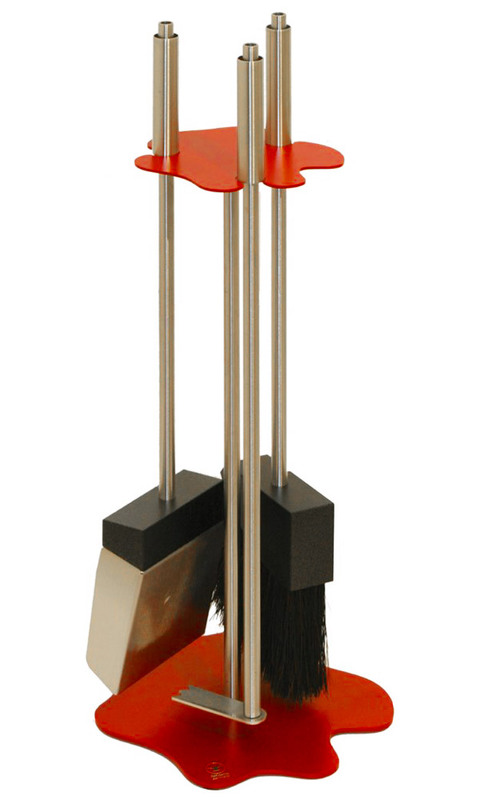 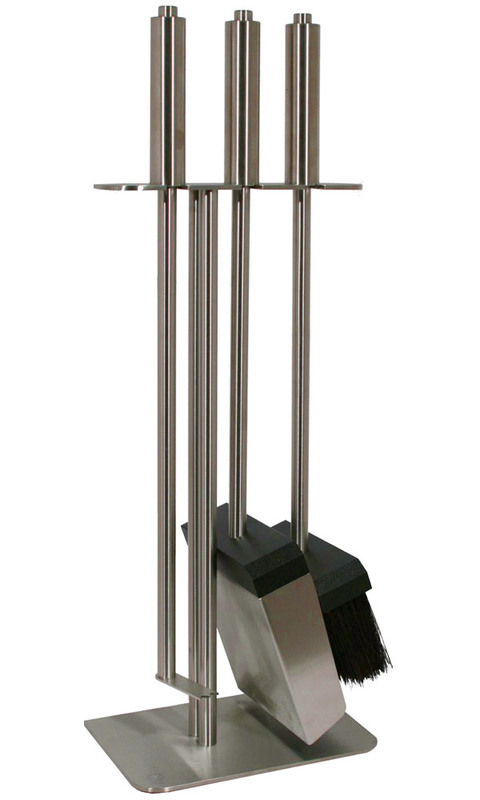 Balanced floor standing tool sets in various shapes and heights are a match for modern hearths and stoves. 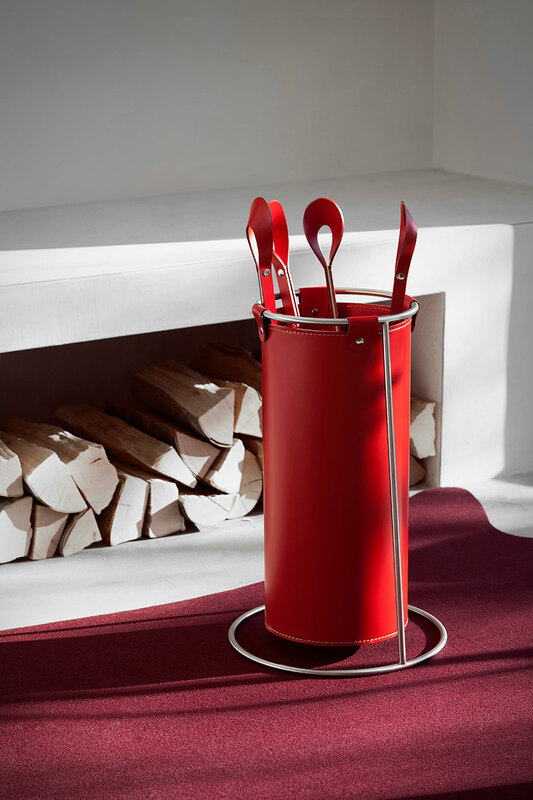 Italian designers, Studio Barazzuol/Malisan and Ferrari collaborated to produce an exclusive collection of cleverly formed tools and fireplace accessories. 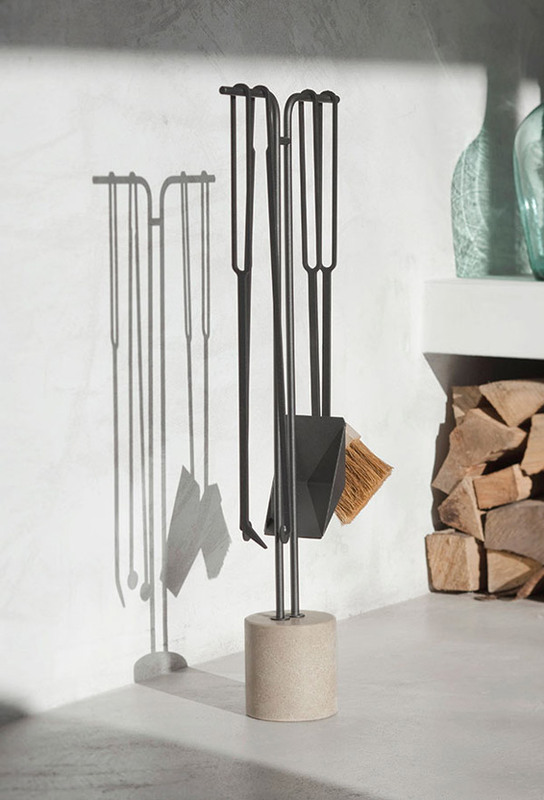 Smart and sensibly styled, these fireplace utensils are meant to be admired as art as well as work tools. 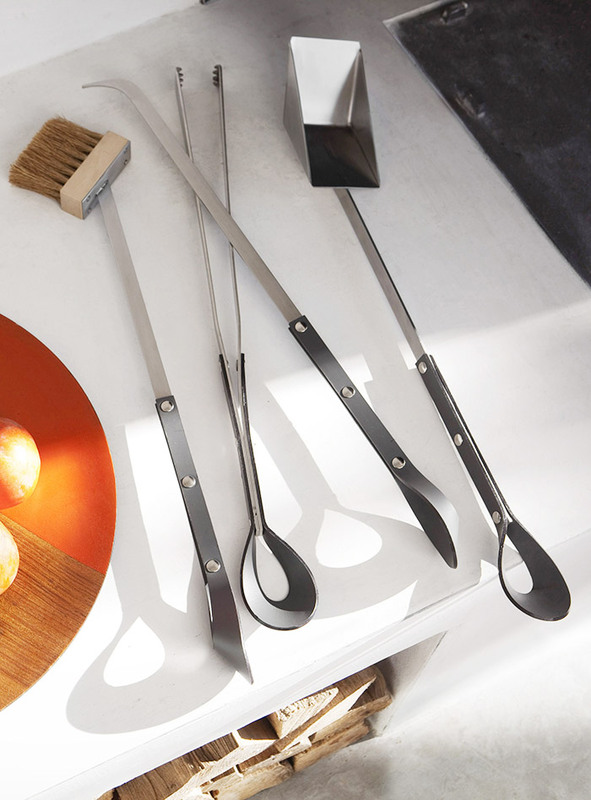 Leather elements add a soft touch with shots of color that accent the Stilus utensils. 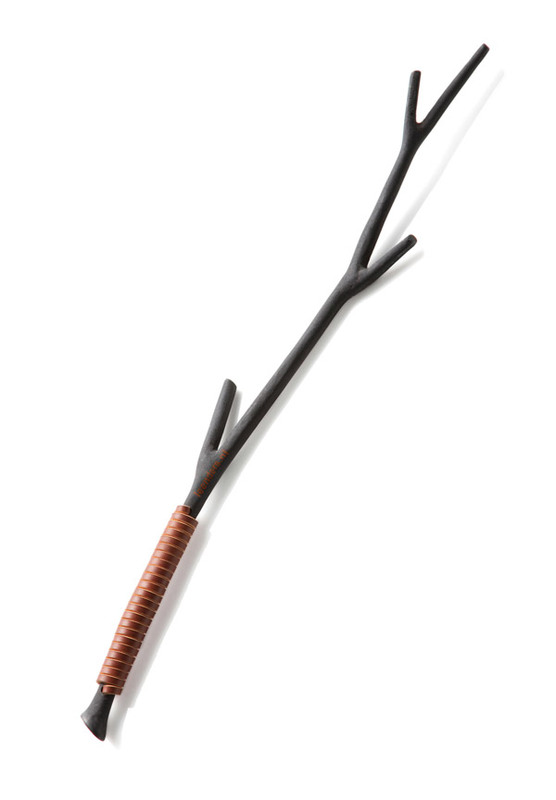 A clever fire poker (Takk) designed by Harrie Leenders of The Netherlands, this twig look alike is made of durable aluminum with a wrapped leather handle for insulation and comfort. 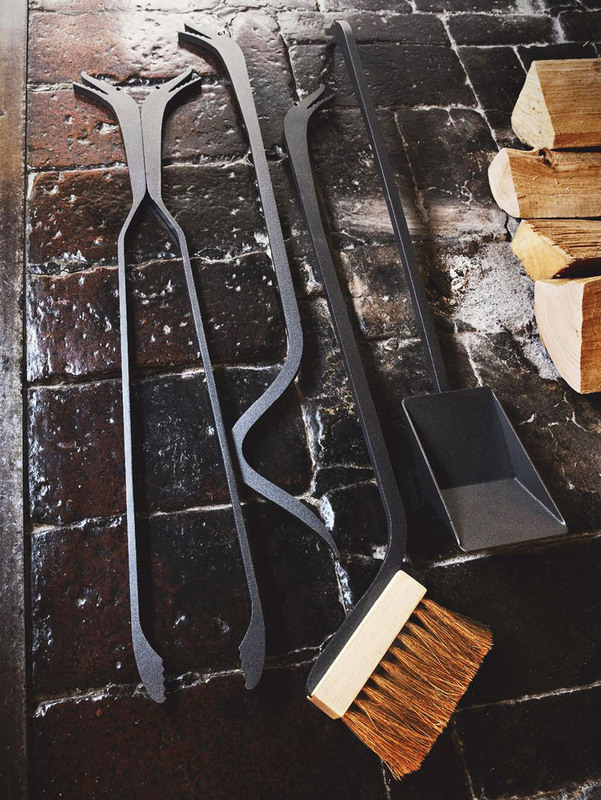 Perhaps the most unique tool in the collection, that can be conveniently set atop a woodpile or placed against a nearby wall for fashionable fire control. 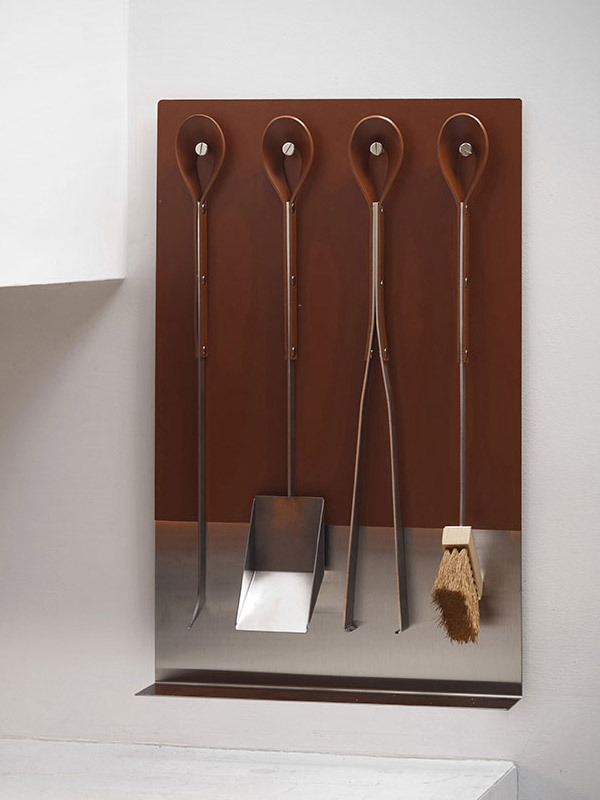 Another simple interesting utensil set (137)consists of a set of tongs and a poker which can easily be hung on a wall. 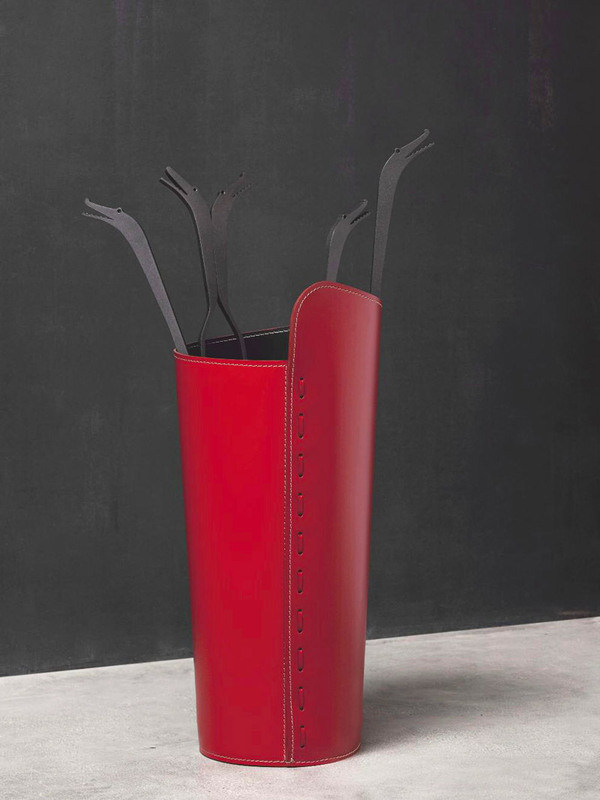 Italian designers, Studio Barazzuol/Malisan and Ferrari collaborated to produce an exclusive collection of cleverly formed tools and fireplace accessories. 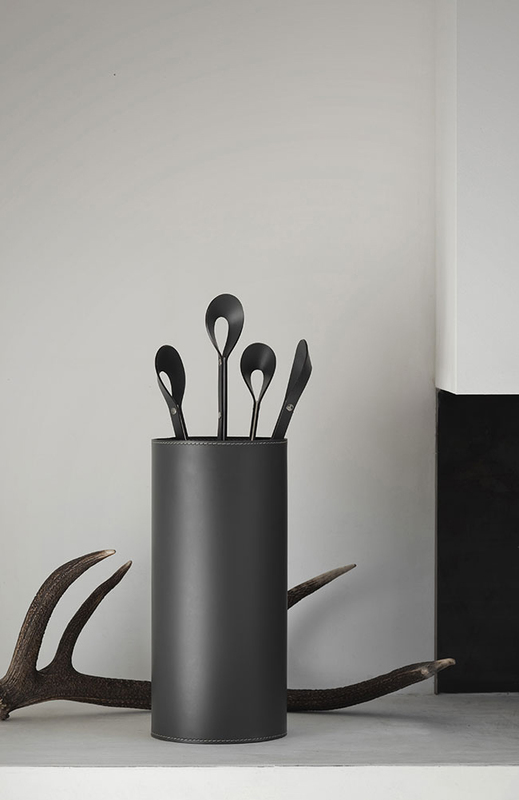 Leather elements add a soft touch to utensil holders with shots of color that accent the collection.